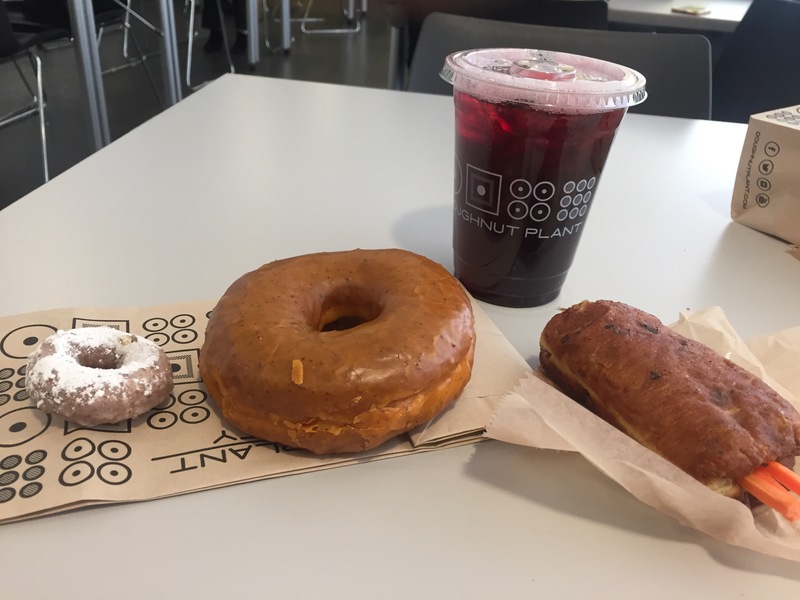 Since May is officially here, and Cinco de Mayo is tomorrow (thus, today is Quattro de Mayo) ;), The Doughnut Plant honored this holiday by having two new doughnuts: 1. Mexican wedding, and 2. Mexican mole. Yes, I taste some cinnamon, and some roasted red pepper essence. The other spices featured in the glacé are harder to identify, thus creating a mix of flavors more spicy than hot. I washed the doughnuts down with Aqua de Jamaica, an iced drink made from hibiscus, water and simple syrup. It was so refreshing, perfect for a spring-summer day. I hope my Star War brethren and sisteren in the NYC will come outside (breaktime?) and enjoy the sun for a minute. Like all good things, good weather won’t last forever.